Finally my Internet is back and I can post the winner of this compeition!!! Yay. With over 200 entries down to one lucky person. Drum roll please……. Our winner of the five signed books is Rebecca Edmonds !! Rebecca is from Wandoan in QLD. Congratulations Rebecca and I hope you enjoy your prize! For those of you hoping to win but missed out, you can always take advantage of my Christmas book SALE! You can buy them straight from my website. 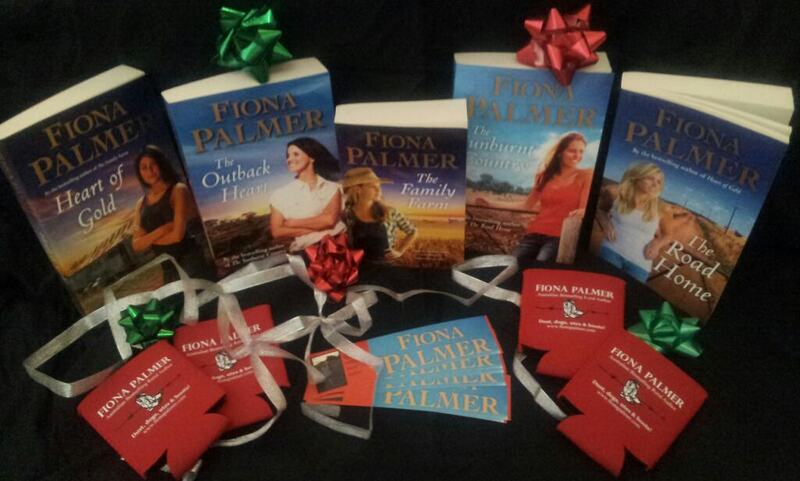 Each order comes signed and includes bookmarks and a free stubby holder until Christmas! Perfect idea for that special gift. Congratulations Rebecca Edmonds. I know you will enjoy these books. What a wonderful summer of reading you will have. Thank you Fiona for running this competition. Thanks so much again for the opportunity Fiona! I am donating this books and I am sure they will be appreciated.